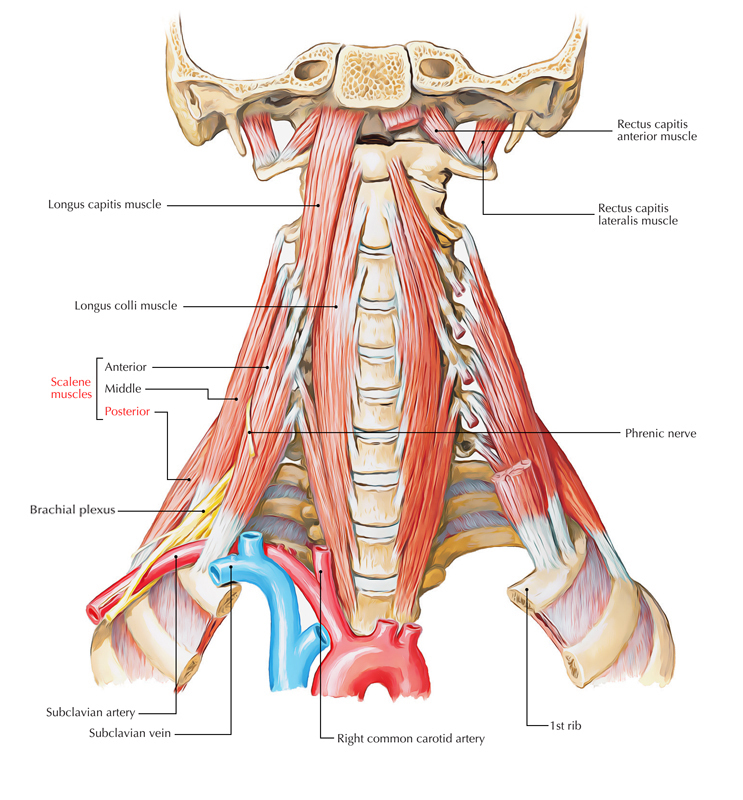 Posterior scalene muscle a.k.a. Scalenus posterior is a muscle of scalene muscle group and is the smallest among them and is the deepest situated one also. It originates via posterior tubercles of the transverse processes of vertebrae C4, C5, and C6. It inserts at the outer side of second rib, at the back of the tubercle for attachment of serratus anterior. Ventral rami of the lower three cervical (C6, C7, and C8) spinal nerves innervate the posterior scalene muscle. It turns the cervical vertebral column towards the same side, whenever the 2nd rib is stationary. Stinging sensation and lack of sensation along the inner border of forearm and hand. Gradual paresis and intrinsic muscles of the hand start wasting. Due to constriction of subclavian artery, ischemic pain and deficiency of radial pulse.